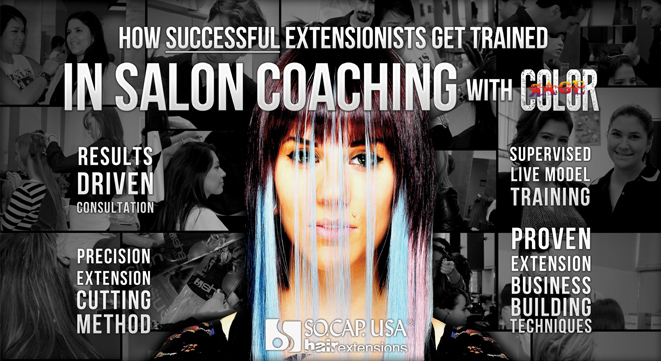 Offering hair extensions has never been easier with our award winning coaching program that teaches you right IN YOUR SALON! with She by SO.CAP.USA In Salon Coaching with Color Rage! You’ll learn & MASTER add-on hair offerings for every possible client: from clip-in bangs & ponytails, full head application, re-usable extensives, and single strand image altering using She by SO.CAP.USA’s line of hair extensions.